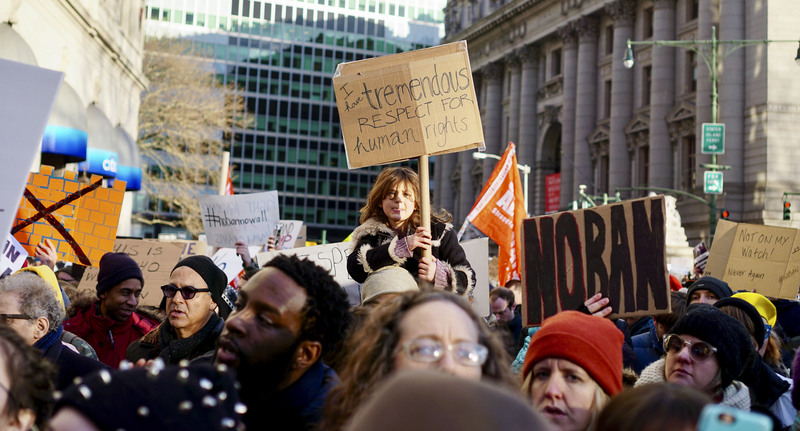 The diverse crowd chanted pro-immigration and civil rights slogans in response as organizers lined people up to being the short walk to 26 Federal Plaza – site of the city’s immigration office. Powerhouse progressive union 32BJ SEIU, whose members acted as marshals as well as participants, sent a large contingent in a show of force for the march it had helped organize. Also present were members from the New York Taxi Alliance, whose yellow cab drivers had shut down fares to and from John F. Kennedy Airport Saturday night in act of support for the protesters who flooded the airport as Trump’s ban was enacted. 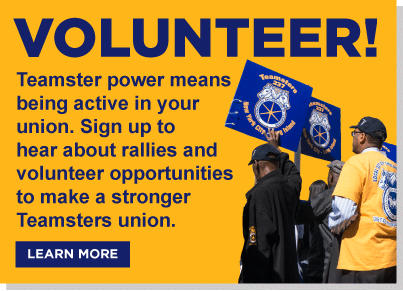 Also present, however, were some members from the city’s construction trades unions, as well as members of Teamsters Joint Council 16, which represents about 120,000 members in city locals. “The union is supporting the march and will be there,” said spokesman Alex Moore.